The Toyota 86 (GT86 everywhere else in the world) is getting a new “GT” trim. While it does very little for performance, it make the little rear wheel drive coupe a little better to drive and a little more bearable when sitting in traffic. According to a report on CarsDirect, the GT trim adds all manner of creature comforts including dual zone climate control to make the passenger’s lives less terrible and also heated seats so you can be nice and toasty when you’re throwing that goofy little car around the track. In addition to temperature focused comforts, the new trim level also adds new leather upholstery and accents to the steering wheel, seats and brake lever. It’s basically a Lexus now. These new luxurious additions are joined by 4.2 inch display that will now include performance focused readouts like torque and g-force. Tech upgrades include a push button start and keyless entry. While it’s a little disappointing that the GT trim doesn’t add a new engine type or a crazy aero package, the additions are a welcome change from the 86's sparse interior. Toyota will also offer a GT Black trim which, like the name suggests, will add black trim pieces to the exterior. On the outside, Toyota will add a “underbody aerodynamic panel” and throw on some new LED fog lights to round out the look. 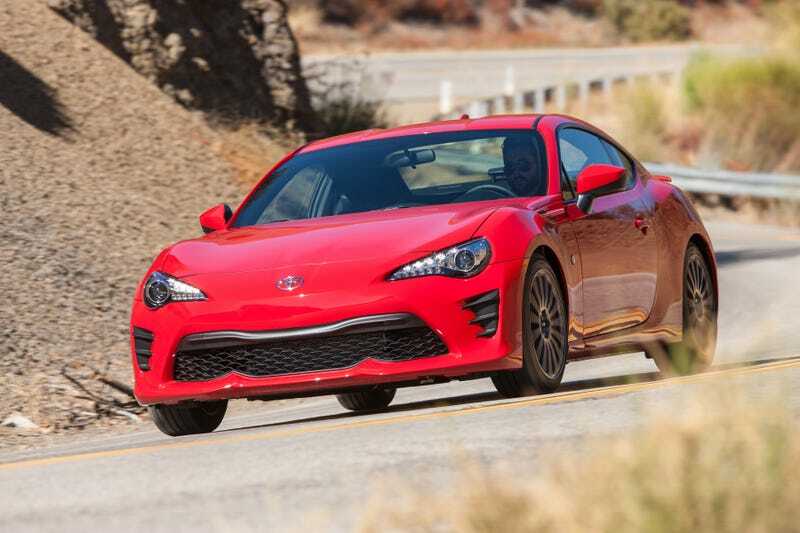 The Toyota 86 GT (the irony of the name is not lost on me) will set buyers back $29,280.